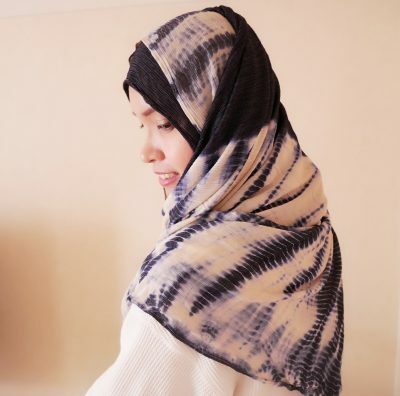 Japanese Tradition x Muslim Fashion, a Chic yet Stylish Arimatsu Shibori Hijab! 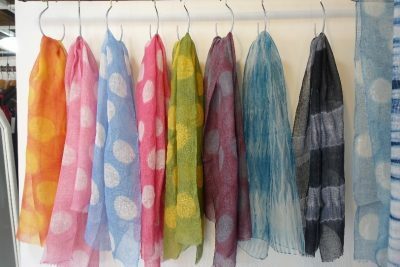 Have you ever heard about Arimatsu Shibori?? inherited from one generation to another. ranging from tied, clamped until folded to keep some parts of the fabric get infused from coloring. 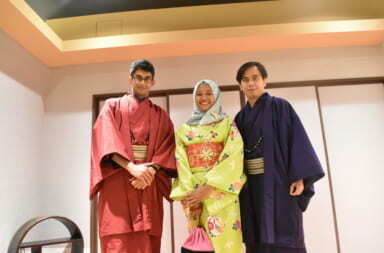 hand towel, yukata, and kimono at the first place. 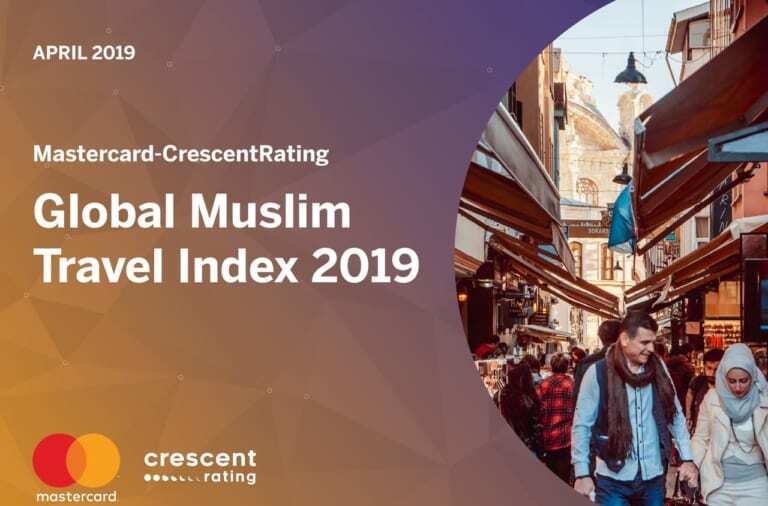 such as long sleeve shirts and blouse, and now hijab! 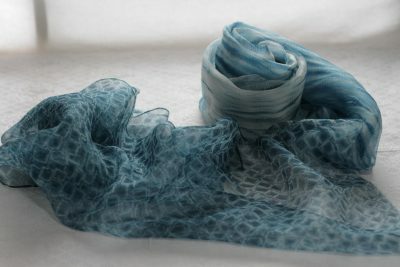 This time, we will introduce you Arimatsu Shibori hijab made by a female craftsman! 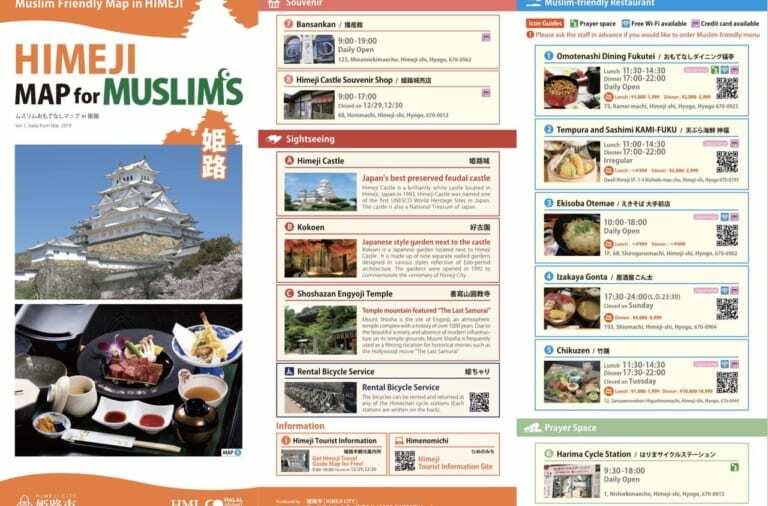 as most of Muslim tourists love Japanese-traditional-related stuffs and experiences. One necessary item for Muslimah is hijab. which is definitely, makes the wearer looks more stylish. The hijab available in 120 x 120 cm with price range 2.800 ~ 3.000 yen per pieces. As it is a popular item, makes it sold out quickly! run by an Indonesian woman based in Nagoya. 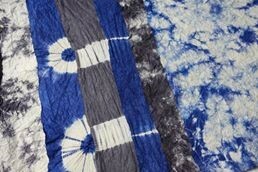 She got interest to Arimatsu Shibori hijab with its touch of traditional since she was a university student. 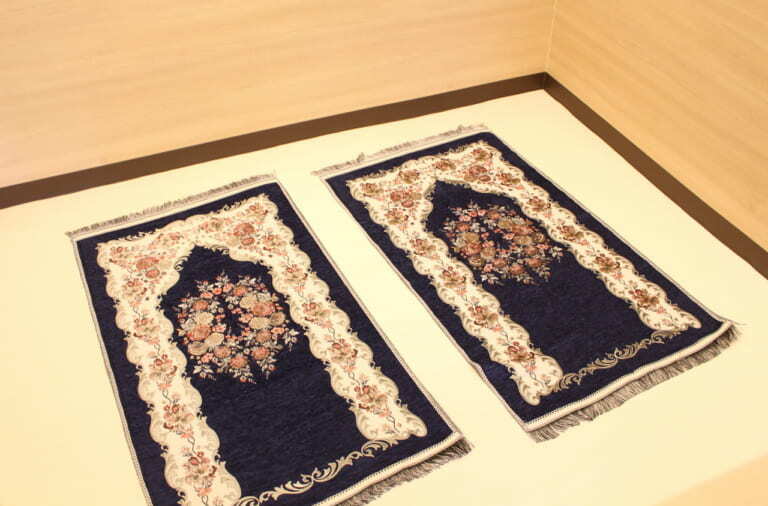 She aims to spread the beauty of the combination of Japanese tradition and Muslim fashion. 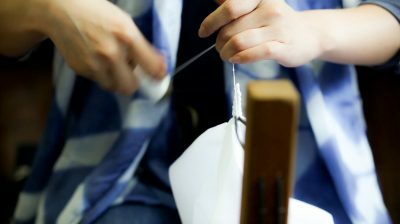 her interest into Arimatsu Shibori when she’s still a university student. 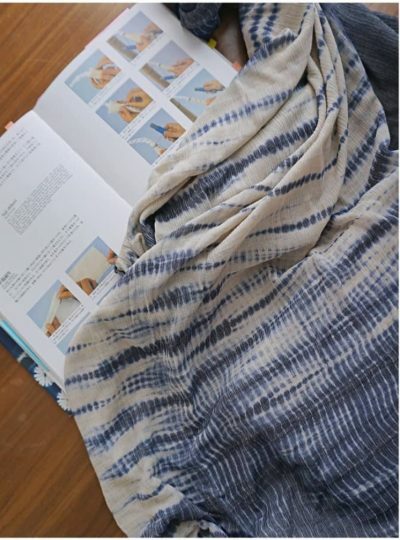 and it was Arimatsu Shibori. 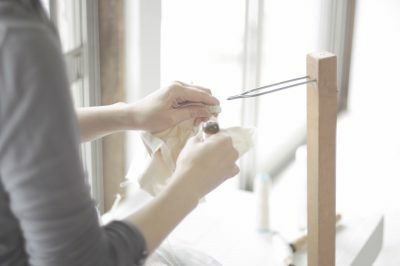 The experience became a trigger for her to learn Arimatsu Shibori. 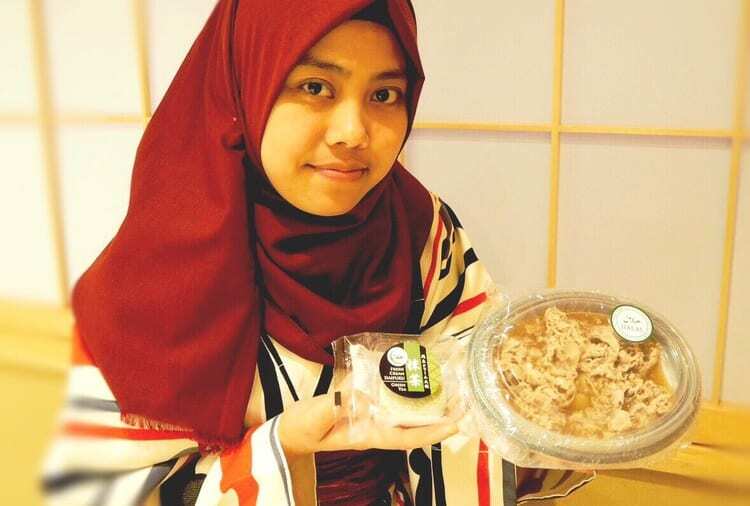 Together with the owner of @pasarditakyoko, she started to make hijab since December 2017. 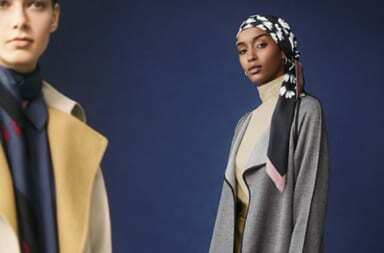 Hijab, as we know, being worn with some arrangement and touch. Considering it, Ms. Aya Osuka makes designs where the pattern shows up beautifully while being worn. we can find at a handmade market website Minne and Creema. direct to her email address on aya.osuka@gmail.com and providing more variety of colors. 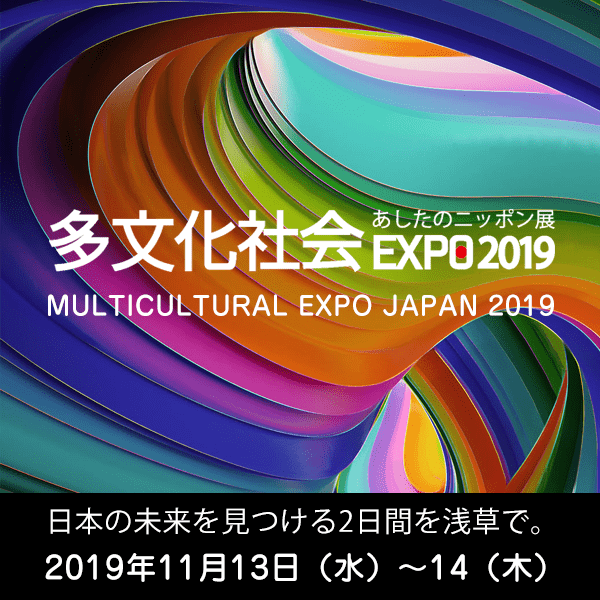 First in Japan! Restaurant Specialized in Halal Kobe Beef, “Halal Kobe Beef Nagomi” Reopened in Osaka, Nippombashi!